Product Description. This is for the supply and fitment of the RNS-E 2G System for your Audi A2 8Z, A3 8L or A6 4B. Only Genuine Audi parts are used in the installation of this product. The work done can be done on a call out basis however this may be subject to a call out fee. 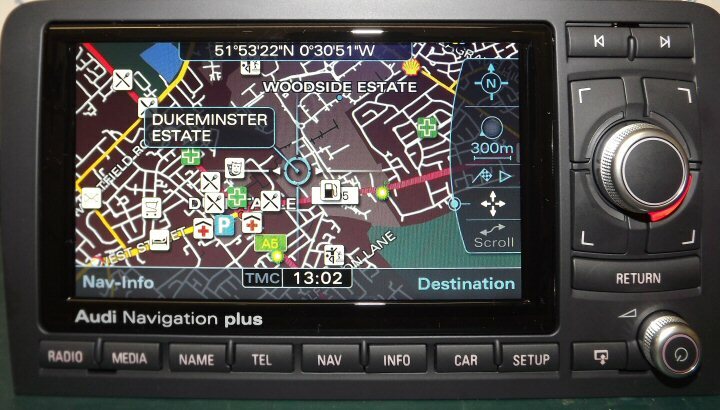 For Navigation functionality the Map Data DVD needs to remain in the DVD Drive. If the Navigation DVD is removed you can also use the drive for Audio CD/Mp3 playback. The RNS-E 2G system is the best Genuine Audi option available for this model. Note: Unfortunately the RNS-E 3G is not suitable for these models due to early CAN system. 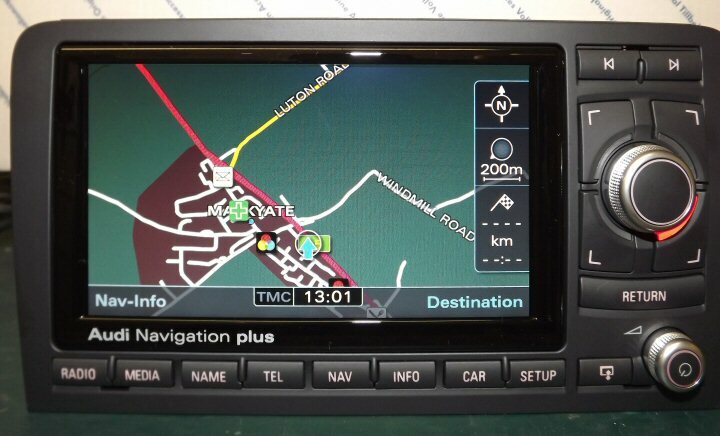 The RNS-E 2G or Radio Navigation System is a Radio, Sat Nav and Mp3 CD Player Multimedia player. It has 2x SD card slots which can be used for MP3 playback (4G per card). All functions can be operated from the RNS-E or MFSW. Optional extras available for this system. - Genuine Audi Bluetooth Hansdree Kit. - Genuine Audi 6 Disc CD Changer. - SDS High or voice control. (requires later style MFSW). Note: Any old systems such as Tv or old Bluetooth kit will not operate with the RNS-E. Note: We offer refurbished RNS-E 2G units. All refurbished systems come with a 12 month warranty. Note: All parts are Genuine Audi. Note: Video in motion for Tv or DVD Player is available for the RNS-E 2G. 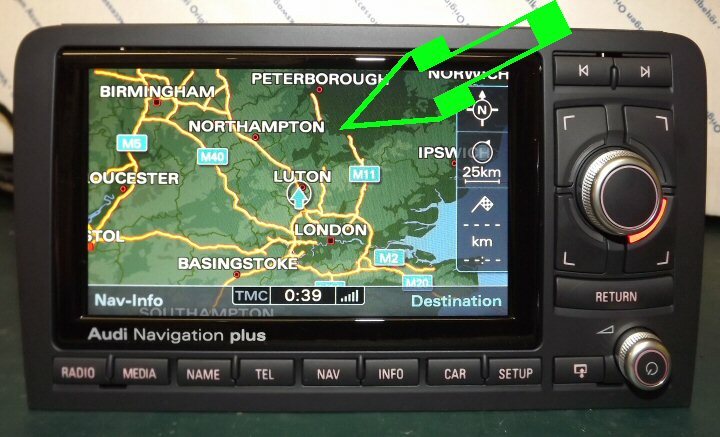 Note: Some models may require a double DIN conversion, if this applies please select this option below. 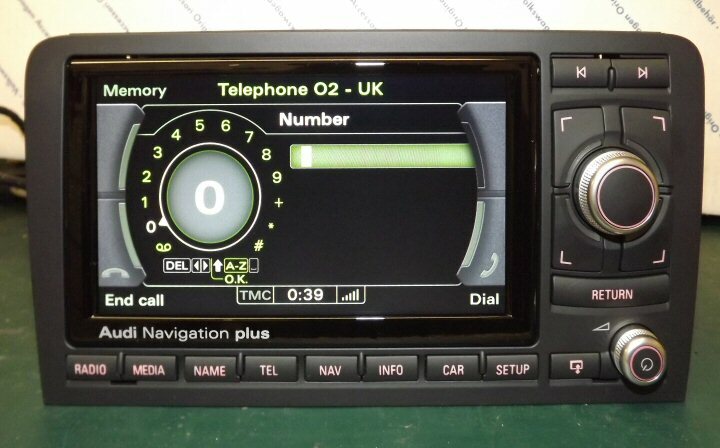 For more details on Single or Double DIN Click here. Note: Double DIN conversion price doesn't include the optional replacement climate control unit. This can be trimmed very neatly to fit. However we can supply a refurbished climate control unit at additional cost, please email for a quote. Note: As the A2 8Z and A3 8L never had the RNS-E 2G system available from factory. The facia panel needs to be trimmed to fit these models, this looks very neat but we will require the vehicle brought to us for this service. Installation on these models take 5-6 hours. 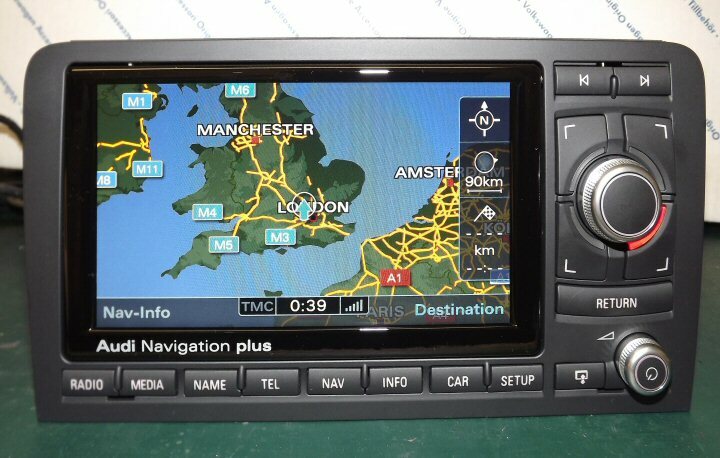 We can offer the A6 RNS-E on a call out basis provided the vehicle is double DIN. Note: Pictures below are for illustration only. For RNS-E 2G pictures please click here. Please click here to download a pdf instruction manual. Above: RNS-E 3G Points of Interest. Above: RNS-E 3G Map zoomed out. Above: RNS-E 3G with optional Bluetooth Kit fitted.